Home » Mid Century Culture » woddities: wonderful oddities » Easylux storage from 1968 — can we find out more about this woddity? 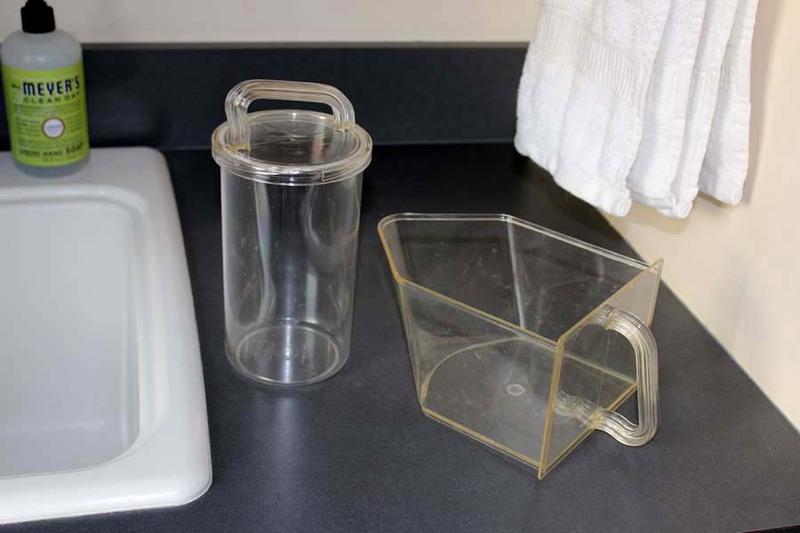 Easylux storage from 1968 — can we find out more about this woddity? Reader Stacia contacted me to share — and ask for help finding out more — about what she was calling a set of 32 “Fasylux” containers, organized in a special made-in-Norway box, and installed in her mother-in-law’s house around 1968. 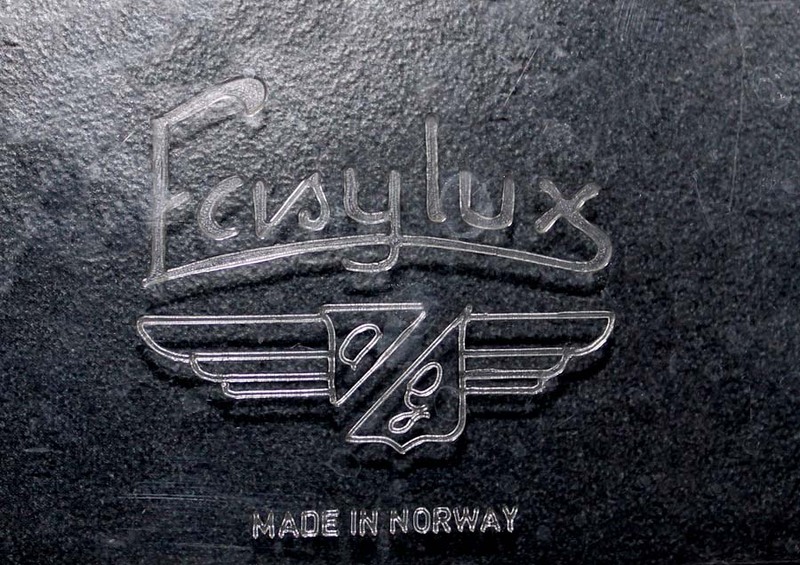 First off: I think it’s really “Easylux.” What more can we find out about this mysterious woddity? I may have a wonderful oddity for you… We rescued a cabinet from my MIL’s house when she moved out recently. It is full of rectangular and round holes with containers in them. I think the cabinet was just made by the cabinet maker who did her kitchen in the late 60s or early seventies. But the containers… I didn’t know until we took them all out that they were made in Norway! 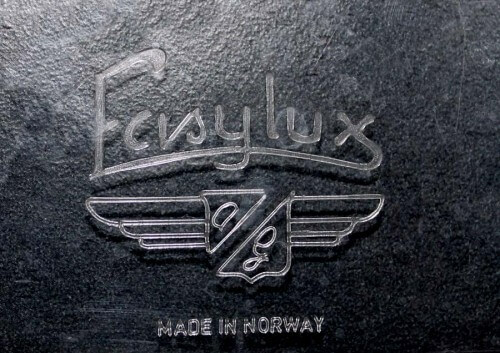 The brand is Fasylux. They are clear plastic and the name is embossed on them. The round ones have lids with airtight rubber seals. I googled them and only came up with an old ebay photo. The link is super long so I’m not including it here, but you could look it up in the same way. I have never seen these anywhere else in my mid century hunting, in real life or online. 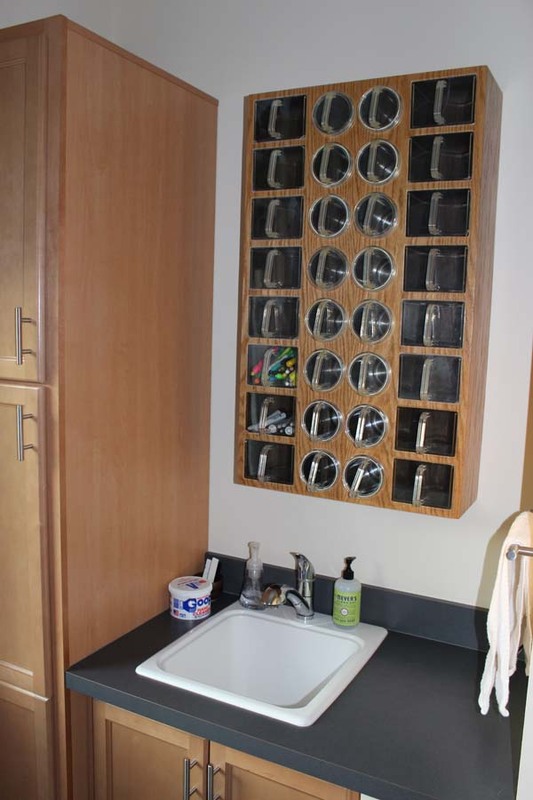 Our cabinet holds 32 containers and we installed it in our mudroom. Super useful and cool looking! I spoke to my mother-in-law about the cabinet. The house is in St. Louis, and I live in Columbia, MO. They bought the house in 1967 and remodeled the kitchen in 1968 or 69. They used an interior decorator — his name is Gene Levin…. 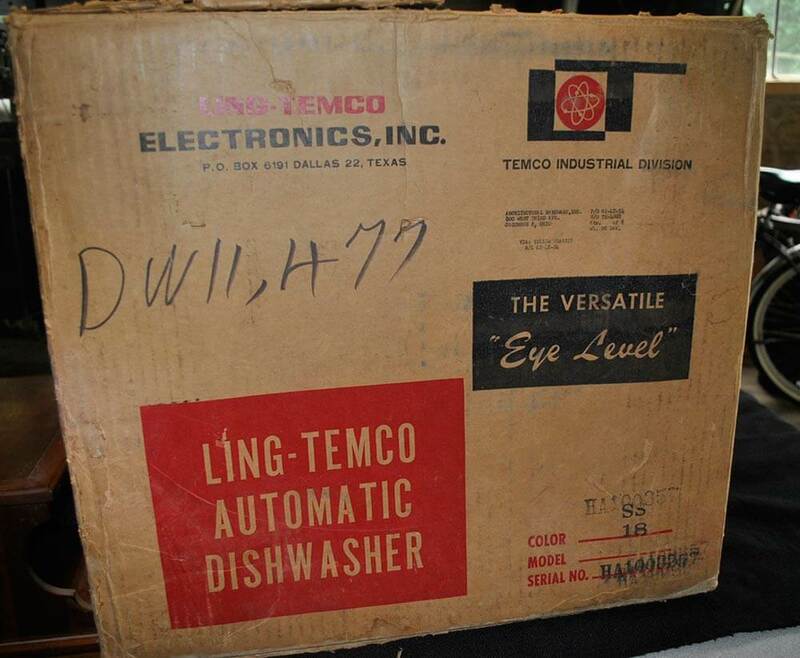 he later moved to Las Vegas — to do the kitchen, and one day he just showed up with the cabinet, which he called a “tandaro unit” (or maybe tandara or tandura?? Her memory is spotty here). Anyway, she really liked it so it became part of the kitchen. She had no idea where it came from or that the containers were made in Norway, or if the cabinet came with the containers or was made separately. I couldn’t find anything online about tandaro or any of the variants… I was hoping to get more info for you, but maybe that is a mystery readers could help solve. The decorator knew my in-laws were into Scandanavian design because they already owned a lot of Danish modern furniture, including a 10-piece Dux teak living room set that I now have, plus Dux dining room and bedroom furniture, plus the original Saarinen tulip table/chairs like you have. Unfortunately that last item did not survive 5 kids, and we sold the last two chairs at her estate sale and I can only imagine they were bought for parts. But the teak stuff is wonderful and I love that they kept it. The furniture all came from a store in St. Louis called Craig Furniture that is closed now. Maybe that store is why there’s so much great stuff in St. Louis! 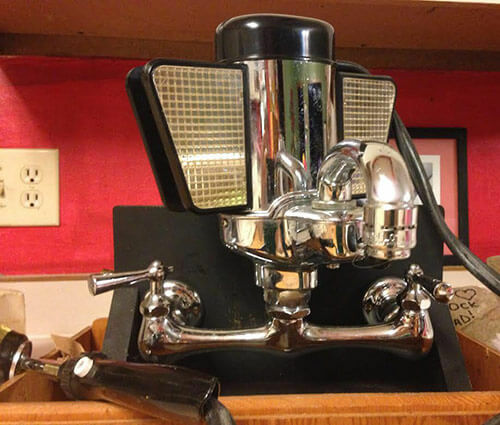 Thank you, Stacia, for sharing this with us — and what a treasure trove you have! Thanks to Retro on 8th for permission to feature this photo in our archives. 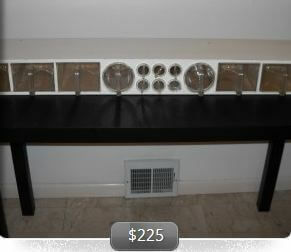 Easy Lux wood and acrylic staples/spices rack for the kitchen. 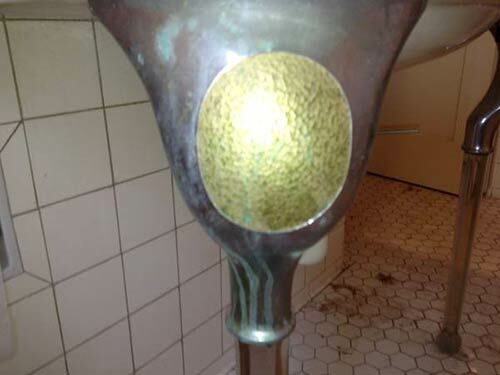 Made in Norway by Ulovlig Ved Kjop & Salg. Fantastic piece with 6 bins, two jars and 6 spice containers. Ah! I found another of their products on flickr. Another reference to Ulovlig Ved Kjop & Salg here, in reference to scales, it seems. In regard to ‘tandaro” or “tandara” or “tandura” or ? as a name of class of storage units, I could not easily find anything, and wasn’t sure how to research this further. Any more about Ulovlig Ved Kop & Salg? Any collective knowledge about ‘tandaro’ units or whatever? Oh, and Tomado is not Danish, it’s a Dutch company, best known for their wire and steel shelving units. They made a lot of metal kitchenware and utensils, but most of it is metal or coated wire, I’m not aware of them ever having made spice cabinets, but they might have done. I highly doubt, though, that it’s the word we’re looking for. There is a row of similar glass containers below the cabinets in the left side of the kitchen in this website of Swedish cabinet maker. http://www.kvanum.com/produkter/tradition/baner-parlgron/ If you scroll down further you can see more detailed pictures. 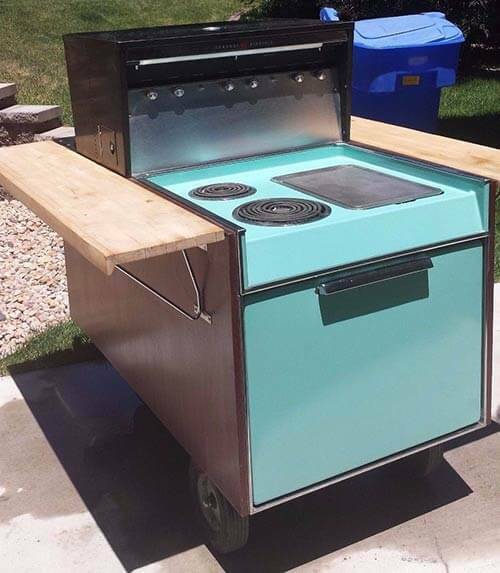 This seems to be their 50’s retro line of cabinets. WOW! Thanks for this tip! Are you in Sweden? Definitely a Nordic thing – very Swedish Folkhem 50’s. That retro kitchen from Sweden är helt underbart!